Friendly size and secure pouring lid make self-service easy for young children. Translucent with molded in measurements on the side. 5.5" tall with snap-close top. 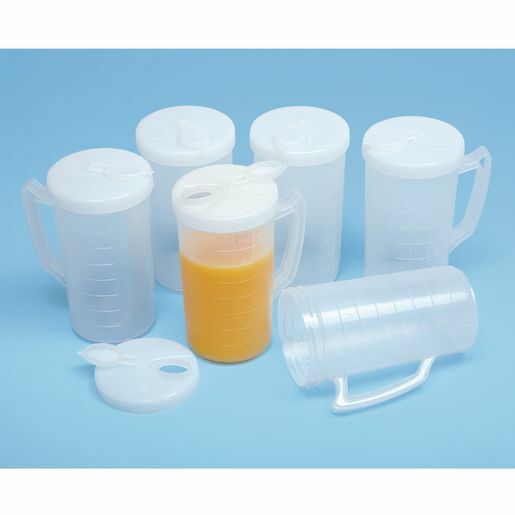 Set of 6 one-pint capacity pitchers. Dishwasher safe.